I had to make a fantasy race, environment, then a finished illustration for my Fantasy Illustration class. So here is my final illustration. 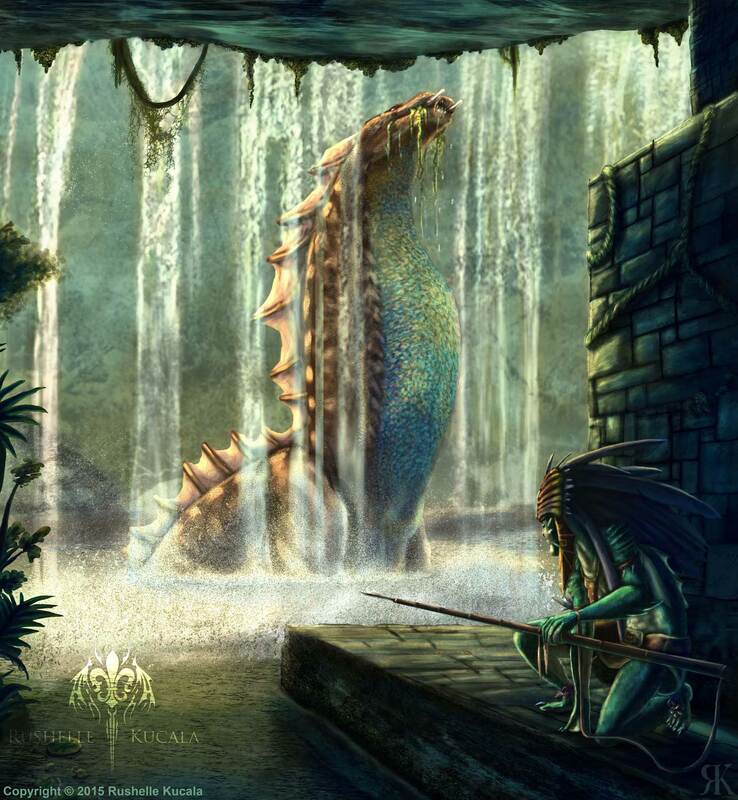 A male water nymph hunting a large sauropod-like beast.